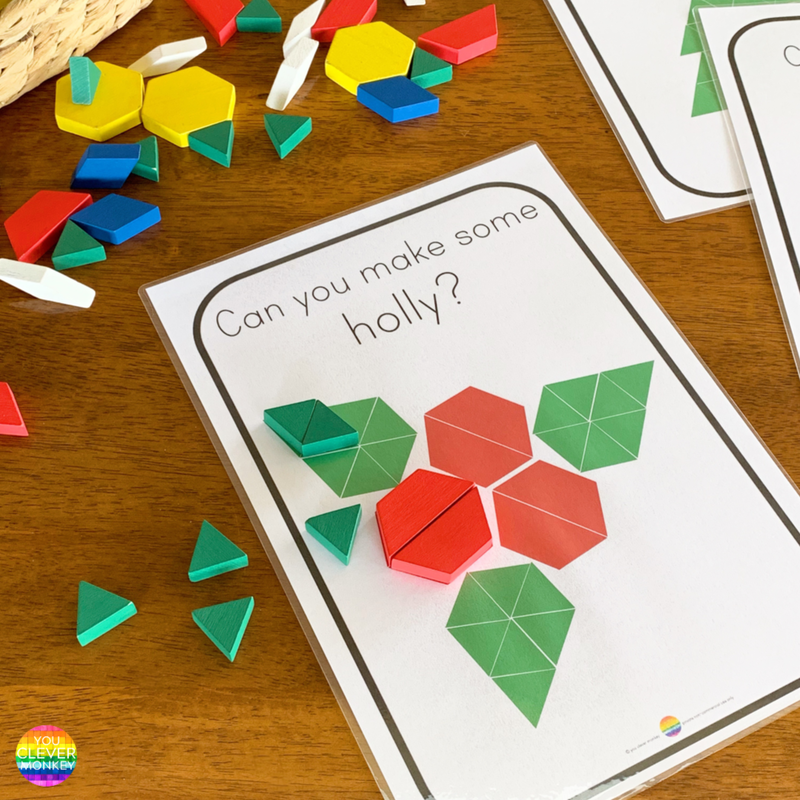 A ready to print, just add some wooden patterns blocks to begin using the Christmas challenge cards with a 2D shape focus. 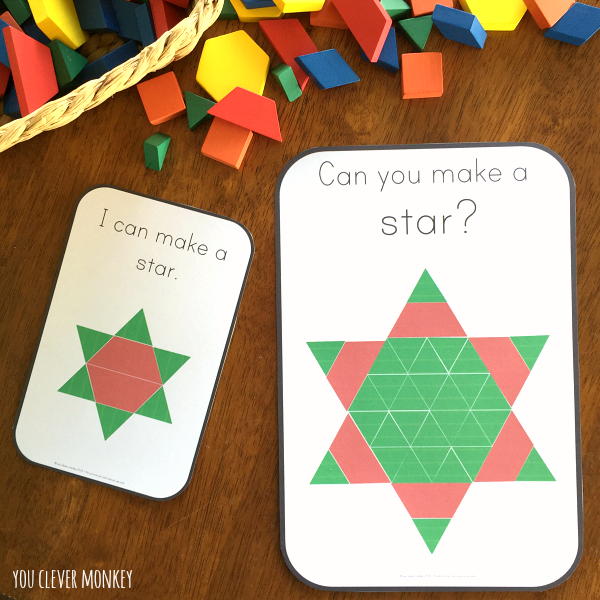 One of our most popular printables would have to be our 2D shape challenge cards. Everyone loves pattern blocks and no classroom seems to be without a set. Many of you have written to tell us that our printable challenge cards have been the perfect addition. 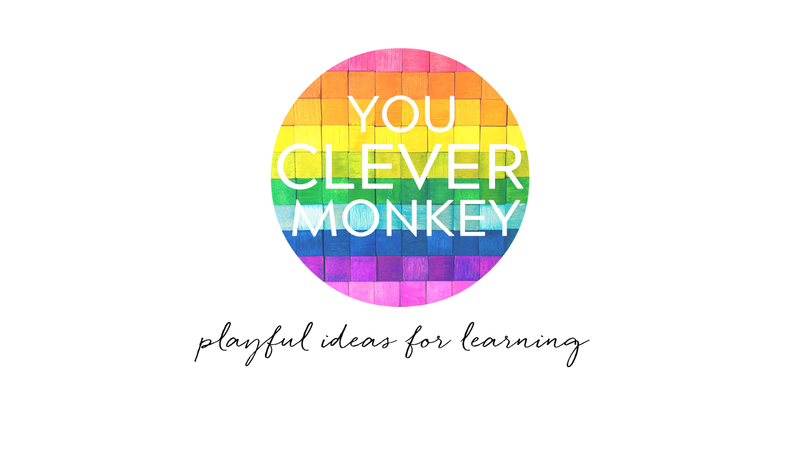 You've loved using them in your classrooms and how easy they make differentiation. 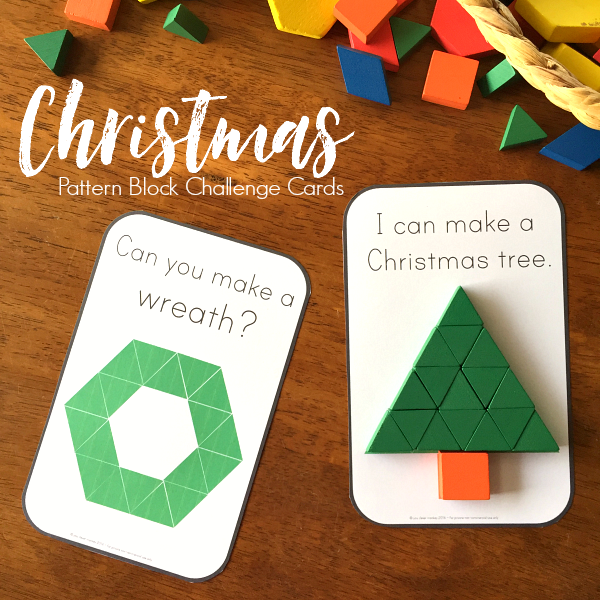 With Christmas only a short time away I've created some Christmas themed challenge cards to add to our pattern blocks. Pattern blocks are a fantastic resource - perfect for exploring tessellation, symmetry, fractions, patterns and 2D shapes. Ideal for adding to your morning STEM tubs this festive season! 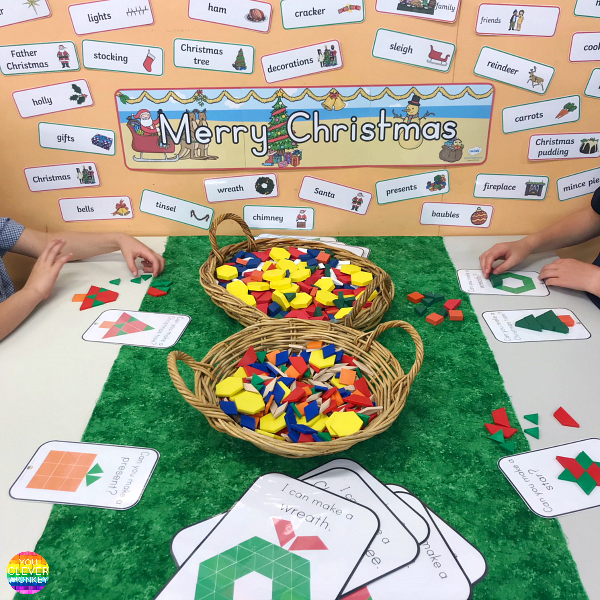 challenge cards that provide children with only the Christmas shape to make along with the list of blocks they can use to achieve this. 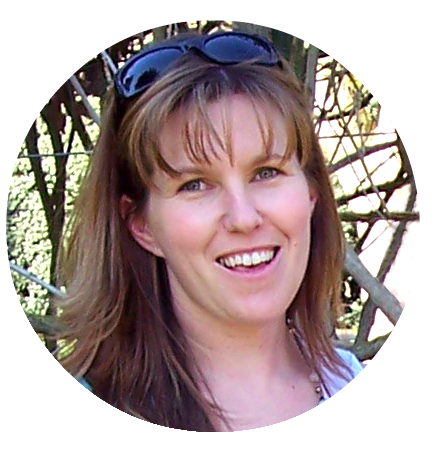 More than 50 pages with over 75 ready to print cards! These Christmas challenge cards can be used to help differentiate the same learning task across different year levels. 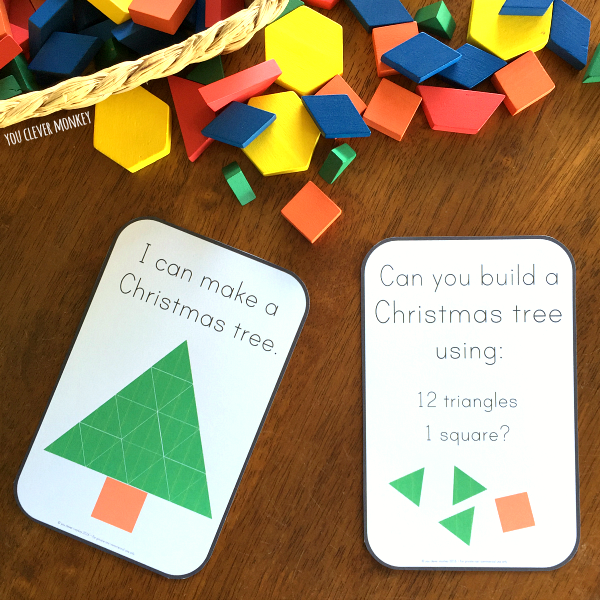 'I can make a Christmas tree' - a child can just match the blocks 1:1. 'Can you make a Christmas tree?' - a child can try to independently build the shape using the picture as a guide. 'Can you make a Christmas tree using...' - a child need to read, collect and make more independently as there is no picture to guide them. 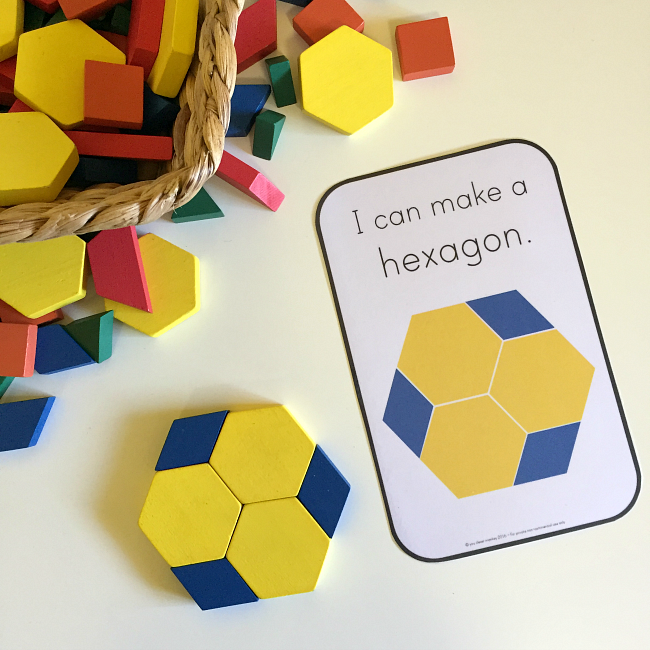 Perfect to use as an invitation to play in the Early Years, as maths centres or even as a cross-curriculum literacy centre for early readers to help build rich maths language. Created to match our existing 2D shape challenge cards which are the perfect addition to any STEM bin rotation, this set feature double sized (A4) cards have also been specially created just for this download to allow for even more elaborate Christmas designs including a two different Christmas trees, a Christmas wreath, an angel and two different star patterns to match blocks to. Just print and add pattern blocks. 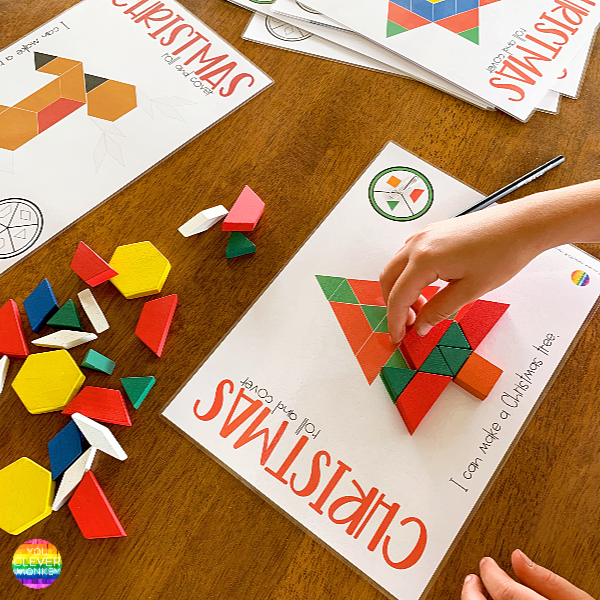 Christmas Pattern Block Spin and Cover Math Centre Mats! 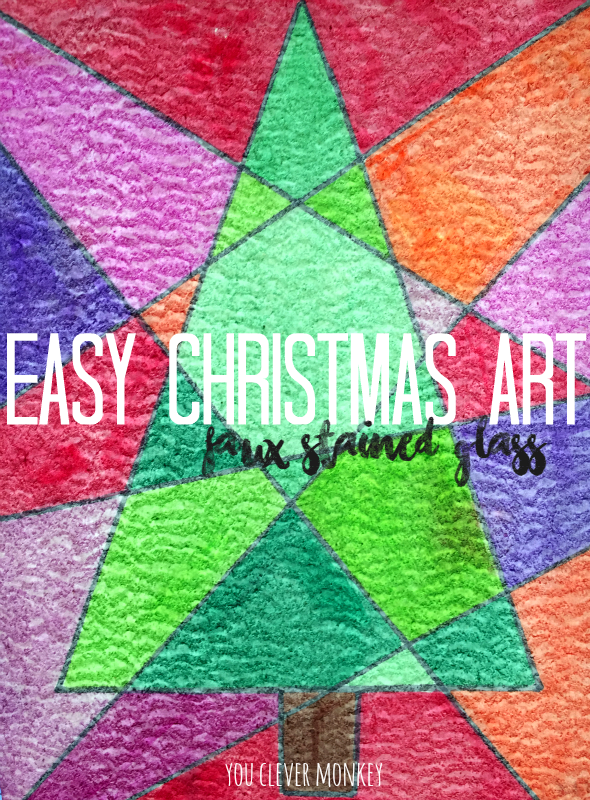 6 Christmas freeform design coloured to challenge students to find the correct pattern blocks to create the picture.